Setting out to define your organization’s purpose is a quest. This is not a job for the disinterested or even the mildly engaged. This effort requires a special group. True believers. Those committed to defining a Big Audacious Meaning that has the potential to transform the whole organization and have a profound effect on the world. I can’t stress this enough. Beware the cynics. Let's face it. The world is full of them. Because being a cynic is easy. You don't have to make an emotional commitment. You don't have to put yourself out there. You can wear your snarky detachment like a badge. It’s easy to be deceived. Pointed criticism from the coolly detached can be interpreted as enlightened insight. Don’t be fooled. We can’t have those who just want to raise concerns, leaving others to figure out how to mitigate them. Our purpose comrades have to be emotionally committed and willing to work to create something groundbreaking. We know it when we see it. I call it committed thoughtfulness. We find it among the fearless ones. Those willing to put their passion out there. It may be in bold ways. It may be in quiet ways. They are those that are willing to withstand the snarky criticism from the detached. 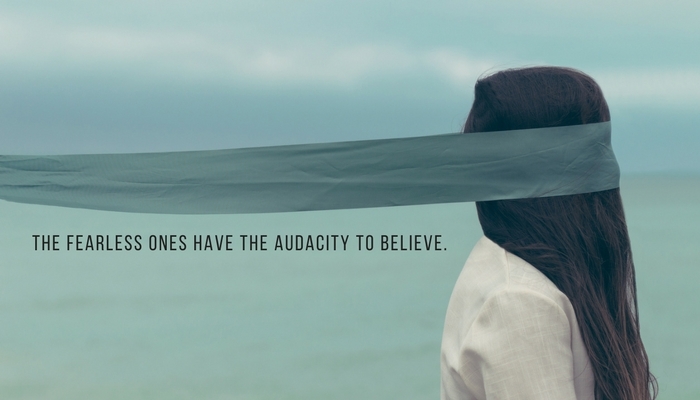 To have the courage to believe. If we are to harness the full power of the Big Audacious Meaning, we need these fearless, passionately committed folks. We recognize them because they are leaders. Not because they have the title. They are respected by their peers and have the ability to carry a brave, new idea deep into the organization. Be forewarned. It may not be all the members of your management team. It may include someone without a title that has the ability to inspire those around her. The point is, this is your purpose dream team. Choose them wisely. Then, prep them well. Review with them the process. Set the expectations of their involvement. And lay the ground rules. Most of all, help them see the vision. Ignite their passion for making a profound difference for those around them. Choosing the right core stakeholders and properly prepping them are two of the most crucial steps we can take to ensure something inspiring and magical happens as we pursue our purpose. What’s more, it will improve our ability to sustain the magic as we role out the Big Audacious Meaning to team members, customers, prospects, and the world. So let’s go find our purpose dream team. But remember, we need more than participants. We need believers.